We all want peace of mind and a Max Pulse screening can give you that. Or let you know you need to take a serious look at your CARDIOVASCULAR HEALTH. 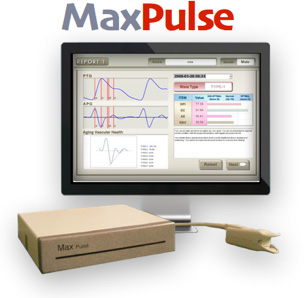 The Max Pulse Cardio Device is a 3-in-1 Cardio Check that’s affordable, non-invasive, accurate and potentially life saving. It is a TGA, FDA and EU Class II medical screening device. Why is cardiovascular health and screening so important? 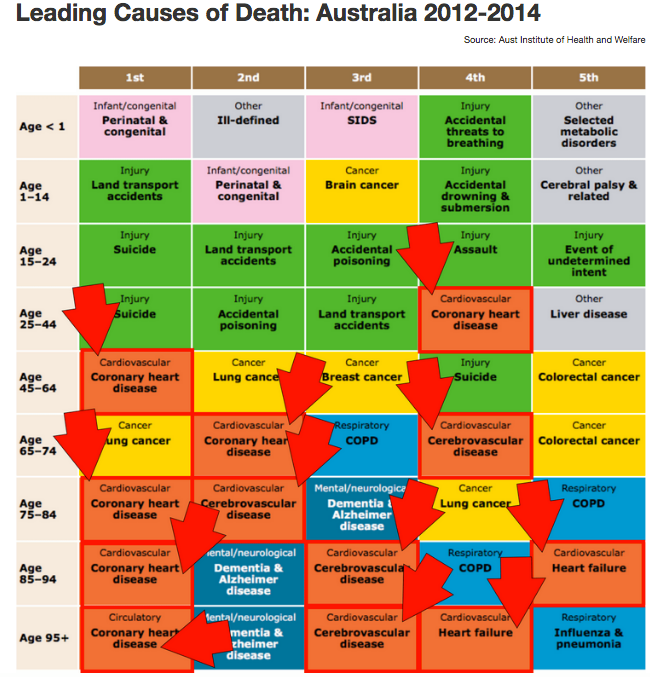 Did you know that heart disease is the #1 cause of death in the Australia? HALF of the victims of sudden cardiac death are under age 65. This year, more than 45000 Australians will have a heart attack this year, and nearly HALF of them will occur WITHOUT any prior symptoms, signs, or warning. Cardiovascular disease is called the ‘slient killer’ as there are often NO symptoms before a cardiac event occurs. Do you have a family history of heart disease, heart attack, stroke or high blood pressure? Are you concerned about your cardiovascular health and want an insight into how your cardiovascular system is working? Are you worried about the impact of stress on your heart and on your overall health? Are you over-weight or have a waist circumference of more than 80cm (women) and 90cm (men)? Do you have high glucose or insulin levels? 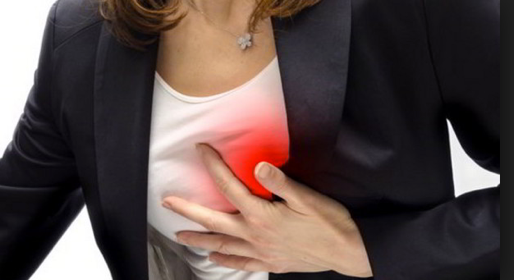 Do you suffer from angina, heart palpitations or other heart related symptoms that are exacerbated by stress? If this sounds like you, or you know someone who would answer yes to any of these questions, the Max Pulse Screening is essential! Don’t wait until it’s too late…. 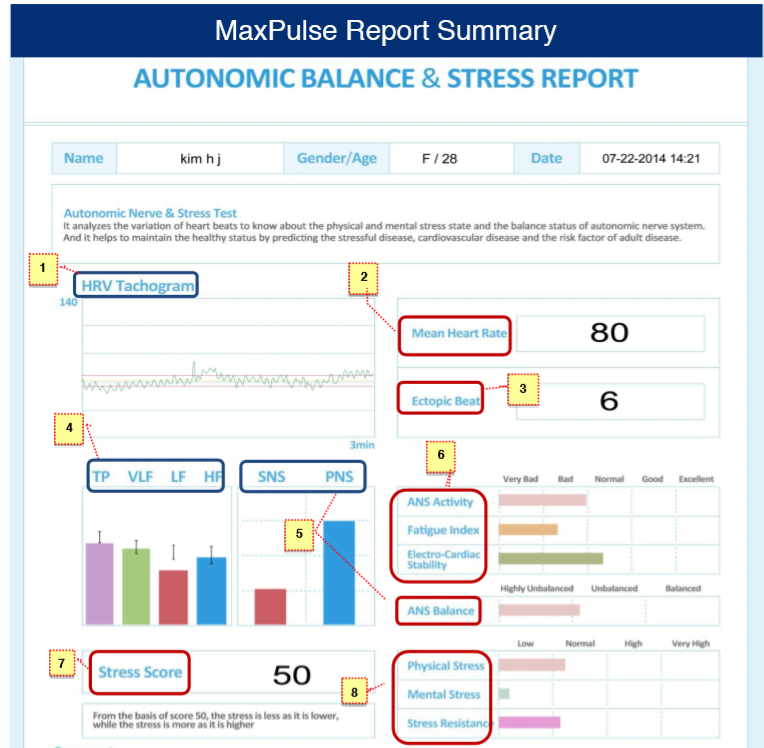 Book Your MaxPulse 3 in 1 Cardio Scan Here! 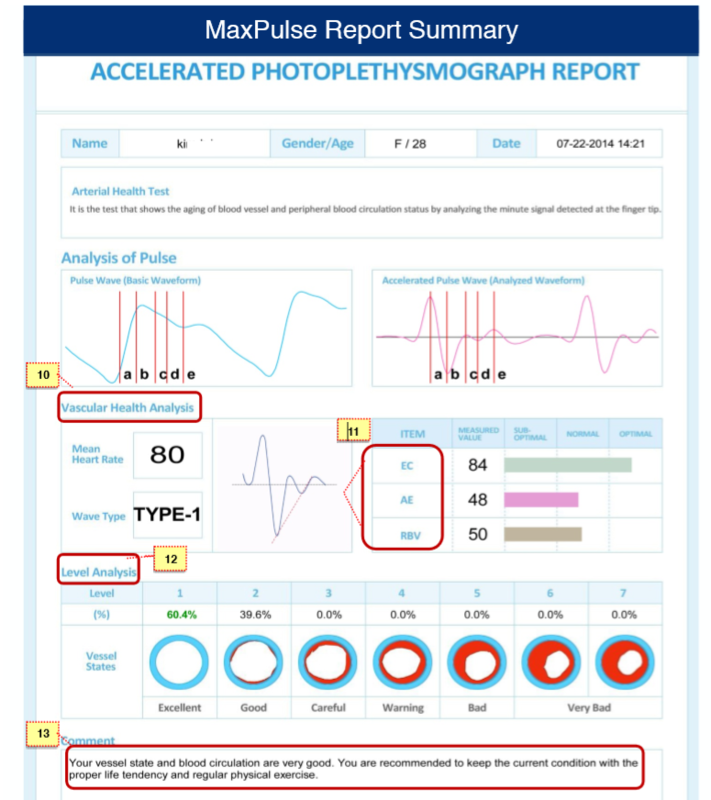 The device provides measurements using Photoelectric Plethysmography, Accelerated Plethysmography, and other technologies to access overall cardiovascular and ANS wellness. Using a finger clip, the blood’s pulsewave is followed from the time it leaves the heart and travels through the blood vessels down to the finger. The pulsewave (as seen in the image below) is a snapshot into the cardiovascular system and evaluates arterial elasticity (arterial stiffness), which is related to atherosclerosis. Arterial stiffness is a major cardiovascular risk factor. What Wave Type Are You? Book a MaxPulse 3 in 1 Cardio Check Here! What Can The Test Reveal About Your Health? Heart Rate Variability (HRV) – Determines one’s overall health status and autonomic nerve system. “Meta-analyses of published data demonstrate that reduced cardiovascular autonomic function, as measured by heart rate variability, is strongly associated with an increased risk of silent myocardial ischemia (lack of oxygen to the heart w/o symptoms) and mortality. Arterial Elasticity (AE) – Overall elasticity of large, small and peripheral arteries (arterial stiffness). Remaining Blood Volume (RBV) – Circulation and remaining blood in the vessels after systolic contraction of the heart. 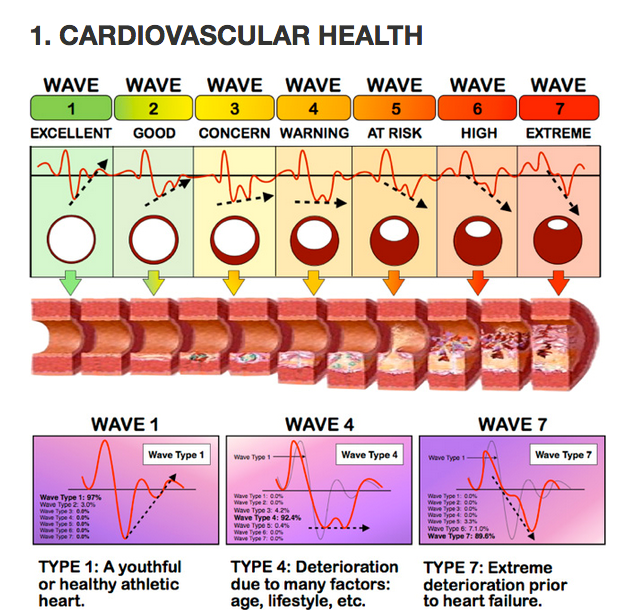 Wave Type – Ageing vascular health indicator. Arteriosclerosis Progress – Seven (7) pictorial wave types showing typical arterial status. Taking a preventive approach to heart disease is one of the smartest things you can do to protect your health. Book your appointment with us today by calling 83577663 or save time and click here to book now and see how your heart measures up!